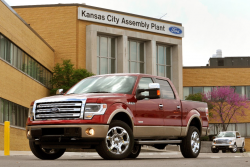 Ford emissions investigation will determine if emissions and fuel economy estimates are wrong. 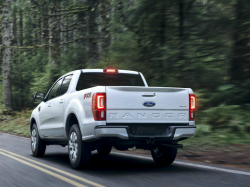 February 21, 2019 — A Ford emissions investigation has been opened to test the 2019 Ford Ranger and other vehicles after a group of Ford employees reported possible problems in September 2018. The outside firm will investigate the vehicle road load specifications Ford uses during emissions and gas mileage tests to certify vehicles for sale in the U.S.
Ford describes road load as the resistance levels used during tests on a dynamometer for fuel economy ratings and to certify the levels of emissions. In addition to the outside company, Ford says the investigation will include independent experts to conduct specific tests and to evaluate potential changes to the modeling process used by Ford. The investigation will also include technical and government components of the testing process, but Ford says any potential concerns don't include the use of emissions "defeat devices." 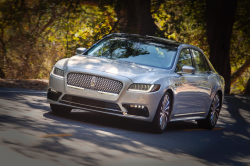 The automaker also says there is no evidence right now to determine emissions certifications or fuel economy labels are wrong. However, the investigation is in the early stages and Ford's current view could change. 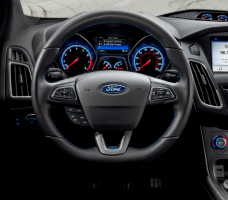 Investigators will begin with the 2019 Ford Ranger and other vehicles and will then include models going back to 2017 if problems are discovered. Ford didn't release more details about problems employees may have discovered in September 2017, but the automaker did announce it has contacted officials at the Environmental Protection Agency and California Air Resources Board. CarComplaints.com will update our website with results of the investigation and any further developments.